Watch the video above and listen to the replay of Dr. Bauman’s LIVE appearance on SiriusXM Doctor Radio where they discuss how to medically treat hair loss. 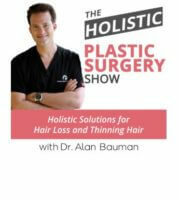 multiple call-in questions on how to medically treat hair loss… and much more! 00:01 Announcer1: No referrals, no waiting room, no copay. Direct from the NYU Langone Medical Center. This is Dr. Radio. 00:11 Announcer2: You’re listening to dermatology with Dr. Doris Day on Dr. Radio. 00:17 Dr. Doris Day: Welcome back to the show. I’m your host, Dr. Doris Day. And this is a dermatology show on Sirius XM 110. You can reach us here at 877 NYU Doc’s 877-698-3627. I’m pleased to welcome Dr. Alan Bauman. 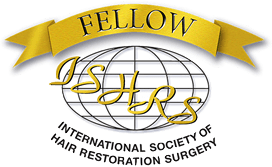 Dr. Bauman is a full-time hair transplant surgeon in Boca Raton… Boca Raton. I guess I say that it trips because I kind of wish I lived there and not in New York in the winter. [chuckle] In the summer I like it here. And he’s the founder CEO and Medical Director of Bauman Medical. Welcome back to the show Alan, how are you? 00:50 Dr. Alan Bauman: I’m doing great, Doris. Thank you so much for having me back. 00:53 Dr. Day: And we have a lot to cover so definitely feel free to get in on the conversation at 877-698-3627. If you have any questions about hair it’s such a huge topic on our show. So just to start us of for our listeners, how common is hair loss and then let’s just dive into the most common types of hair loss. 01:12 Dr. Bauman: Yeah. So hair loss is affecting about 80 million Americans out there, about 50 million men and 30 million women. And some believe it’s even more prevalent than that. So guys in their 20s, 20% of them are gonna have some hair loss, 30% of guys in their 30s, 40% of guys in their 40s and so on. And hereditary hair loss is the most common type of hair loss that we see affecting huge numbers of patients out there. And that’s what we treat mostly in our hair loss clinic and hair transplant clinic right here in Boca Raton, about a 1,000 patients per year. 01:44 Dr. Day: And hair loss looks different in men than women, the genetic type. So, talk a little bit about what you see in men, what you see in women. 01:51 Dr. Bauman: Absolutely. It looks different and it looks different from across the room. In men you can see the receding hairline, you can see the thinning spot happening in the crown. In women it can be a little bit more subtle. Sometimes they notice it first as a smaller ponytail volume or a change in the amount of coverage that they have in the frontal area, behind the hairline. But then again, as it progresses you can get a little bit of a recession in the temple areas and that changes the frame of the face. 02:18 Dr. Day: Yeah, it does. And women really mind, it may be that for men they kind of have more options like men can go gray, men can go bald. They don’t like it but they can go out in society. Women start to lose their hair and they feel that thinning and it affects self-esteem. It’s not just a cosmetic problem. It goes deeper than that. 02:38 Dr. Bauman: Oh, it’s so true. When you’re having hair loss it’s like a bad hair day turns into a bad hair week, turns into a bad hair life. And our patients certainly can be… Are affected that way. Many of them avoid social situations. Young guys will resort to wearing a baseball cap which limits them socially, professionally. And many of our women who are experiencing severe hair loss, they don’t even wanna experience the salon. They don’t wannna have that beautifying experience getting their hair styled and colored and set and so forth. And so they’re really missing out a lot. 03:12 Dr. Day: That’s true. So when you talk about someone who has a family history of hair loss what are the proactive things that they can do? So you don’t think you see hair loss in yourself yet but everyone in your family, or, has hair loss so you kind of feel like well that’s just, my genetics have a strong tendency. Does it come from one side of the family or the other? How does it work? 03:32 Dr. Bauman: Well, you know what, it does mostly come from the mom’s side of the family. But we know now that there’s over 200 different genes that regulate hair loss, the onset, the speed as well as hair color quality, texture, curl and so forth. So there’s a lot of different factors as well as environmental factors as well to affect the hair loss process. So they’re accelerating it or slowing it down. 03:55 Dr. Day: So that’s good. So what would you do proactively if you think you’re at risk for it but you don’t have it yet? 04:00 Dr. Bauman: You’re at the family reunion and you’re seeing a lot of bald scalps out there that’s not a good sign. 04:05 Dr. Bauman: So, you’ve gotta really take proactive measures. And now if the hair loss is visible to the naked eye, what we know is already they’ve lost 50% of their hair. So preventative therapy, preventative intervention is really critical. So the first thing you need to do is find an expert, someone who can measure your hair, look at your scalp and know what’s going on because as we said, not all hair loss is hereditary, you wanna make sure we know exactly what’s happening. And you wanna establish a baseline. You wanna know what is the density, the quality, the coverage. So there’s more than just an assessment from across the room. We have to look at the scalp and see is there weaker hair, miniaturizing hair. Are there changes to the hairline or coverage? And get a whole inventory of your health status and hair loss status at the same time. And that’s what a hair loss specialist can do: Medically Treat Hair Loss. 04:55 Dr. Day: Okay. And then what can you do to treat it actually? 05:00 Dr. Bauman: Well, for male pattern hair loss, we wanna talk about the common, most prescribed, most recommended, FDA-approved medications. So, for example, there’s Finasteride which can help lower DHT levels which we know is the main trigger for male pattern hair loss. We can prescribe compounded versions of that. We can use topical Minoxidil which was the active ingredient in the old-fashioned Rogaine, we have compounded sophisticated mixtures of that that we can prescribe. There’s even low-level laser therapy if you wanna be on the non-drug side of things. There’s very powerful, portable, non-chemical treatments like laser you can do right at home which can help enhance and protect the follicle and it can enhance the health of that hair for sure. 05:40 Dr. Day: So, how young do you prescribe Finasteride in men? 05:45 Dr. Bauman: Well, so, I don’t have a strict age cutoff because I look at the patient individually. We wanna know are they through puberty? So we’re having a discussion if the patient is very young of age. I do have a lot of high school students brought in by their parents who are struggling with a thinning process. Maybe even a balding process in the crown, and it’s devastating for these kids. So we’ve gotta get on top of it early. We have a deep discussion about how Finasteride can affect the hormone levels and such. So for younger men, we might wanna start with something more like Minoxidil or laser light, or even Platelet-Rich Plasma, the latest and greatest in-office treatment for hair loss. 06:21 Dr. Day: Alright. So let’s jump over to a call and then we’ll come back to some questions that I wanna ask you about all of those treatments. 06:27 Dr. Day: Let’s start with Hannah in Missouri. Hi Hannah. 06:31 Hannah: Hi, can you hear me? 06:33 Hannah: Okay. Great. Thanks for taking my call. You guys have answered a bunch of things [chuckle] actually about preventative, which was gonna be my part two of my question. So, I’m calling… My mom is 53. And you wouldn’t know it by looking at any other part of her. She’s beautiful, she has wonderful teeth and great eyes and her skin’s very great, but she’s had probably for as long as I can remember, she’s had hair loss. And it’s gotten to the point where it’s like… You can see her entire scalp, it’s really bad. And bless her heart, she tries to ignore it and not let it affect her, but she’s not very consistent with things. She doesn’t… She’s tried the minoxidil and then she’ll get off of it, and then because if, she has never seen real progress and then she takes the vitamin and then she stops. And so, I’m wondering, we did go in and have the hair specialist look at her follicles probably some eight years ago and they… I don’t remember exactly what they said, but it was pretty bad. 08:42 Dr. Day: Great questions, Hannah. You called at the perfect time. 08:45 Dr. Day: So Dr. Bauman, you have a lot of questions to answer here. 08:49 Dr. Day: So first for the mom and then for Hannah. 09:31 Dr. Day: So do talk a little bit about what that is, Platelet-Rich Plasma. 09:34 Dr. Bauman: So PRP, Platelet-Rich Plasma, is utilizing your own body’s platelets and the growth factors that they contain to help stimulate better hair growth from those follicles. So that’s an in-office treatment that we would do, takes about an hour and a half. We take a small blood sample, we spin it in a very special way with a centrifuge and a special kit to separate and concentrate the powerful platelets. And then under local anesthetic, this is gonna be applied back into the scalp. And the way that we do it, we actually use a human allograft with it. So without getting too technical, it’s basically like placental stem cells that go in with the PRP to trigger a stronger and longer reaction, so you don’t have to come in for that like every month or so. Actually, our treatments from the PRP have been documented to last a year or even sometimes longer. So that’s a one stop, lunch hour type treatment that can give a boost if the follicle is there. 10:28 Dr. Bauman: But here’s the thing, Hannah, your mom may not have a lot of hair follicles that can be rejuvenated. So we have to be careful. Are we trying to fertilize the garden that doesn’t have too many plants? If you catch my drift. We have to evaluate her to see if the density is very low, we might need to do some degree of transplantation. And hair transplants in women actually are very, very common. 50% of my patients are women, and hair transplants when performed properly and patients are chosen correctly, can be very, very successful because we take the healthy hair follicles from the back of the scalp and we re-implant them into the thinning or the balding area. And that can recreate a lot of hair growth for her and give her the coverage back that she needs or wants to make her look great again. 11:10 Dr. Day: So, are there any 3D printers for hair? 11:14 Dr. Bauman: Are there any what? 11:21 Dr. Bauman: Yeah, yeah. Oh, 3D printed hair. So, that’s an interesting new technology. Actually, in my practice, for patients with extensive Alopecias like if someone has Alopecia totalis or a large area of hair loss that can’t be transplanted, we can use a cranial prosthesis. And these 3D printed hair systems basically are hand-made in Bologna, Italy and they’re called the CNC, Capelli Naturali a Contatto. 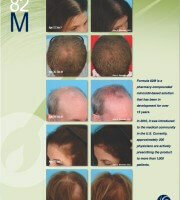 And it’s an amazing technology that enables us to recreate a second skin and human hair for a large area of hair loss. And that’s something that patient gets attached literally right to their scalp and they wear that for four weeks at a time before it’s removed and then cleansed and then replaced into position. So that’s something for patients with extensive hair loss who may not be good candidates for hair transplants. 3D-printed hair, so it’s not really printing the hair as much. It is using the 3D printing technology to mimic the shape of the scalp, and then create the system from there. That’s totally different than a hair transplant. Obviously, that’s a hair replacement system. 12:26 Dr. Day: Okay, and now for Hannah who’s 29, who sees her mom and says, “I love my mom, she’s so beautiful, but I wanna be proactive because I don’t wanna end up having to deal with this later in life.” So, what can Hannah do at her age? Hannah do you have kids? 12:44 Hannah: No, I don’t. 12:45 Dr. Day: Still planning? 12:47 Hannah: That’s not really on the agenda right now. 12:49 Dr. Day: Okay. Well ’cause I’m just thinking in terms of recommending medications and things. Where would you go with Hannah in terms of what you would recommend? So her hair is fine and maybe noticing some thinning, maybe not. We’re being optimistic here, but she definitely doesn’t wanna go down that road if she can avoid it. So, what proactively could she do? 13:12 Dr. Bauman: The most important thing as I mentioned before, is to get a measurement. So we use a tool called the HairCheck Trichometer, and this is a device that’s so simple to use, doesn’t require us to take any hair. You’re not gonna get a cut or you’re not gonna cut any hair, we’re not gonna put a tattoo on you. We’re gonna use this system to measure how your hair is doing in each different area of the scalp that might be at risk or where you might be noticing a little bit of thinning and this will give us a baseline measurement, and also help us compare your good hair which lives in the back of the scalp to the hair in the… Let’s say the frontal area or the temple areas, is where it might be thinning out and tell us if there’s a difference between those two areas and how much of a difference. 14:39 Dr. Day: And then also I think the low level laser at that level too. 14:43 Dr. Bauman: Yeah, for sure. 14:43 Dr. Day: ‘Cause that’s also non-invasive. It doesn’t add anything in, and gives her lots of options. 14:49 Dr. Bauman: Yeah. Non-drug treatment, in terms of low levels laser, great at home device. If you’re committed to it, if you use it, like the Capillus is very strong device over 300 diodes. It’s just six minutes a day, and it’s a very, very powerful treatment that you can use. 15:02 Dr. Day: And you wear it like a baseball hat. It’s like your hands are free when you do it. You just have to put it on and it doesn’t take long and it’s not like it takes much out of you to do it, so you do have to do it though. 15:14 Dr. Bauman: And if you have the measurements, Hannah, then in about 90 days, we’d be able to start to measure some improvements way in advance of you actually seeing it or feeling it with a naked eye or even in your ponytail, of course, but knowing that the measurements are going in the right direction, that’s gonna give you the impetus and the confidence to continue with the therapy. And we would just track what your expectations are versus what you’re getting from that treatment regimen and then look from there. If we need something more, then we can do it. If not, a good treatment of nutritionals and laser can work for many, many years to keep your hair at a stable, if not improved situation. 15:50 Dr. Day: Great Hannah, thank you so much for your call, I appreciate it. I hope we covered enough for you. Thank you. And now we’ll jump over to Hector, in Florida. Hi Hector. 16:00 Hector: Hi, how are you? I have a question for Dr. Bauman there in regards to Propecia and finasteride in general. Are there other types of alternatives other than Propecia for someone to take? 16:16 Dr. Day: Okay, so two questions then. 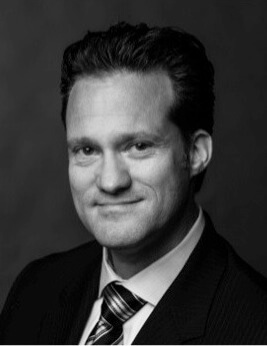 Dr. Bauman. Do you ever recommend finasteride or finasteride for women and then what alternatives to finasteride do you recommend for men? 16:27 Dr. Bauman: Yeah, so we do prescribe finasteride for women. I use a compounded version, 1.25 milligrams actually, and we do it for women who are post-menopausal who are androgen sensitive. And so there’s a couple ways to figure out if that woman who is post-menopausal is androgen sensitive. If she’s been using hormone replacement, let’s say with a little bit of testosterone, she might notice some accelerated hair loss. That would mean she’s androgen sensitive, it might be a good responder to Finasteride which is the active ingredient Propecia. When they’re of child-bearing age, obviously, there is more of a concern because we would not want a woman to be on the medication and conceive a child at the same time. So there’s some warnings and risks regarding that for sure but I do see good results with women who are chosen carefully or are androgen sensitive and treated with Finasteride. Although, for me it’s not a first line treatment, I’d rather see them on a topical Minoxidil first, like Formula 82M or something like that. 17:24 Dr. Bauman: But in terms of male pattern hair loss, we know that Finasteride is a very powerful treatment, it has a 90% success rate keeping guys looking the same or better over the long term. Two out of three patients are gonna get some regrowth, five out of six are gonna basically stay stable but there’s always that 2% risk of side effects in men and many men are very, very fearful of decreased libido or mild erectile dysfunction and certainly we can understand that. If they want an alternative to the oral finasteride, we’ve actually compounded a topical finasteride that we’re using these days. And we’ve been using it for quite a bit of time now, and it really lowers the incidence of side effects for patients who are sensitive to finasteride or fearful. 18:08 Dr. Day: And what about the benefits, is it equal? 18:10 Dr. Bauman: Well, it’s not gonna be equal to the oral finasteride. Oral finasteride really lowers that DHT a lot in the serum and in the body, obviously, it’s a systemic drug. Topically, it’s not gonna have that strong of an effect on the serum DHT levels, but it is having an effect on hair regrowth. So, the topical Finasteride is a nice option for men who are fearful of taking Finasteride but still wanna get some reduction of the DHT. Of course, they could combine it with other things. They combine it with laser or Minoxidil or PRP, and so forth. 18:43 Dr. Bauman: But it’s a nice option, for Hector there. If he is looking for some alternative to Propecia or if someone has had a side effect or thinks they’ve had a side effect on finasteride. 18:53 Dr. Day: Hector, are you concerned about the side effects or is it something that you have experienced or the person you’re asking for has experienced? 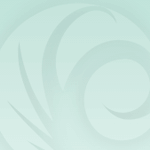 What is the concern about Finasteride that you are asking about alternatives? 19:07 Hector: Well, sometimes you read a lot of information that, really it’s just more scaring yourself more than anything. And so I’d like to see what options I might have. Taking Propecia or finasteride, I’m sure is safe. I just feel like, sometimes, getting the advice from a doctor, especially one that specializes in hair would be a lot better than, let’s say, just going to hear word-of-mouth from friends or anything like that. But yeah, that is one of the reasons why I would have questions for Dr. Bauman in regards to Propecia or any kind of finasteride source. All in general, just an alternative. 19:49 Dr. Day: Yeah. Dr. Bauman, talk a little bit about the clinical data of Propecia. About from the clinical studies, the placebo versus the treatment group and then the post-marketing data. Just to give Hector a little bit of confidence in why this, if the hair loss bothers you enough not to be too afraid of it or not to pay too much attention to friends on it. 20:12 Dr. Bauman: Right. So sometimes the hype is worse than the actual reality there. And I think this is one of those particular cases. There’s a lot of fear-mongering out there. And it wasn’t just a few years ago that there was talk about class action lawsuits and things like that. And it’s interesting on the timing of those that just as the medication is going off patent that these lawsuits pop up in that way. But in the clinical data, we saw that there was only about a 2% chance that patients would report, and this is in a large clinical study, this is the one that they used to get through to the FDA, get the FDA approval for hair regrowth. 20:45 Dr. Day: And it was the same in placebo than it was in the treatment group. 20:49 Dr. Bauman: Correct. And actually more patients left the placebo group due to sexual side effects than the patients who are actually in the trial, taking the active medication. So, I think sometimes you have to almost get your brain out of the way a little bit when it comes to these medications, and I don’t… I think that when patients complain of side effects, I believe them. 21:12 Dr. Day: Of course! Yeap. 21:13 Dr. Bauman: I believe that they are having them. And there’s a lot of things that we can do to try to get around the side effects. Like for example, in my practice, we try changing the timing of the dose first. And it’s amazing how many times that actually works to diminish the side effects, like take the medication at night instead of the morning. 21:29 Dr. Day: Right. That’s interesting. 21:33 Dr. Bauman: And the medication is, or I should say, if you are having a side effect, it could be dose dependent so, let’s go down on the dose a little bit, let’s be clever about this. Let’s change the timing. 21:40 Dr. Day: And then titrate it up as your body gets used to it. Yeap. 21:44 Dr. Bauman: Exactly, so we’ll go to every other day dosing, for example. I’ve had patients who complain of side effects from saw palmetto. 21:50 Dr. Bauman: Which might have some anti-DHT properties, to be discovered and such, as an alternative to finasteride. So I know that there are some people who might be sensitive to lowering DHT levels. 22:08 Dr. Day: Me neither. 22:08 Dr. Bauman: In 20 years and 16,000 patients on finasteride that I’ve prescribed over the years, either the name brand drug, or, as that went off patent to compounded, quality compounded versions, I’ve never seen someone with persistent side effects from finasteride. And if you go online, it looks like it’s everywhere, it’s crazy. 22:28 Dr. Day: Right. No, I agree with you. I’m comfortable and I also don’t have an age range in which I offer it. So, I have young men who are finishing high school, starting college, who you can see they have strong family history, they’re already losing a significant amount of hair. And it’s so much easier to not lose the hair than it is to try to grow it back after. 22:46 Dr. Bauman: Oh, Absolutely. 22:47 Dr. Day: And then, talk a little bit, too, about when you take the finasteride. Well, two questions. One is, in someone who’s not taking the brand name but is taking a compounded version, if they switch versions, does it matter? So with many hormones that women take, if they’re on a hormonal contraceptive, even if they switch the same exact formula, just the different excipient, a different formulation that creates that formula, can change the way your body absorbs it and can change the way it affects you. Do you think it matters if they switch from one formulation of even, at the same dose to another? Does it matter what this so much, or you don’t really mind that much? 23:22 Dr. Bauman: Well, I will tell you that I’ve seen more variability whether it be side effects or good effects, from finasteride, when patients are taking the generic medication. 23:32 Dr. Day: Yeah. Exactly my point. 23:33 Dr. Bauman: So, I don’t know. I’m not a chemist and I’m not gonna look at their pills and I don’t know where they came from. I don’t know where, what website they ordered it from or where are these generic medications that CVS is dispensing, where they’re coming from. But all I know is that I have a much better success rate when I have total control over it. 23:57 Dr. Bauman: I wanna see name-brand or, I wanna see it name-brand Propecia or I want them on my custom compounded PCAB-certified pharmacy doing it. 24:05 Dr. Day: Right, you wanna know where it’s coming from, yeah. 24:07 Dr. Bauman: Absolutely. And you wanna know what’s in it. And my pharmacy gives me reports on that, that it’s… What’s the… How much is the active ingredient in there? And I wanna know that it’s made fresh and it’s not sitting around, and it’s… I wanna know all of those things. And that’s the benefit of being able to work with a great pharmacy for sure. 24:25 Dr. Day: Yup, I agree. 24:26 Dr. Bauman: And you can get creative too, you can add things in. So, our finasteride mixture has a little bit of biotin in there, it has other things for circulation, and to decrease inflammation, and to protect telomeres, you name it, we’ll try to put it in there to help out and get a better result from the… From just the finasteride alone. 24:43 Dr. Day: And then talk… That’s brilliant. And then talk a little bit about… With finasteride, combining it with minoxidil, one, and two is… Is that, how long do you see hair growth? So with minoxidil, you could probably get hair growth for another three months then it maintains it. But with finasteride, it goes a little bit longer, right? It goes a couple of years. 25:05 Dr. Bauman: Well, any treatment that you start it has to be open-ended. You’re committed. You have to make the commitment. If you have male pattern hair loss, you’ve gotta be committed, you’ve gotta fight the fight. 25:15 Dr. Day: In terms of regrowth though… Absolutely, everything that you do, you have to do forever. Otherwise, you lose the benefits for sure. 25:20 Dr. Bauman: Absolutely. So, minoxidil has a totally different mechanism than finasteride. When you lower the DHT, the weaker hairs grow a little bit stronger, a little bit longer ’cause they’re not under the influence of the bad DHT that’s affecting the miniaturization. When you work with minoxidil, minoxidil is an anagen-promoting agent, so it’s gonna suddenly turn on hair follicles that are resting and it’s gonna prolong or keep the hair follicles in the growing phase that are already still in the growing phase. And they’re gonna get thicker and darker and stronger and longer, the longer you keep those hair follicles in the growing phase. So the two can work synergistically and work together. And even laser therapy has a different mechanism. 26:00 Dr. Day: And it’s really additive, yeah. 26:01 Dr. Bauman: Absolutely. It’s more than you would expect from either one alone, you’re gonna get a better result as you combine these kinds of treatments for sure. 26:08 Dr. Day: Absolutely, I love that. Let’s go to James in Georgia. Hi, James. 26:12 James: Hello, thanks so much for taking my call today. I had a question about a minoxidil, and using it for growing a beard. I know it seems like it’s been a common thing that I’ve seen on the internet recently. And anecdotally, it seems like it works. But I was wondering if it’s safe, especially when you’re already using it to regrow male pattern baldness. 26:39 Dr. Bauman: Awesome, yeah. 26:41 Dr. Day: Alright, so what do you say? 26:43 Dr. Bauman: Yeah, well, ever since the hipsters came into being, I guess in some outskirts of Brooklyn, beards are, they’re all the rage. So everybody wants a thicker, stronger, healthier beard. So, I’m right there with you, James. You can use minoxidil to strengthen your beard. And the reason why it works is because it’s gonna turn on those hair follicles that might be sitting in the beard that are resting. So we wanna push more of those resting follicles into the growing phase, and minoxidil does that brilliantly. 27:12 Dr. Day: So if he’s using it on his scalp and his beard, do you see any issues with that? 27:14 Dr. Bauman: Well first of all, if you’re applying a lot of it on your scalp, you might be getting a little bit of a beard effect, so just be aware of that. 27:41 Dr. Day: I don’t think so either. I think it’s a great idea. I even tell people to put it in their brows. I think it’s great for growing brows. 27:50 Dr. Bauman: Absolutely. And so again, but we like to use a version of minoxidil that’s not the generic or Rogaine variety that has the propylene glycol and some of the nastiness, the greasy formulas there. Especially if you’re putting it on your face, you probably wanna put something a little bit more gentle that has a little skin conditioner in there. And that’s where we use the formula, 82M. That’s a quick-dry, non-greasy formula that’s really powerful. 28:14 Dr. Day: So what is 82M? 28:16 Dr. Bauman: 82M is minoxidil plus tretinoin, and it also has a little bit of fluocinolone in there as well. But it’s a very, very powerful hair growth treatment and the base of it is the key. Meaning, the vehicle is no propylene glycol and it’s got a little skin conditioner in there, so it’s very, very gentle, it’s great for the brows, the hair and the scalp, the beard, anywhere you wanna grow a little more hair. 28:39 Dr. Day: Alright. And let’s hop over to Ohio. 28:42 Dr. Bauman: Now if you have a patchy loss in the beard, beard transplants are all the rage right now. We take the hair follicles from the back of your scalp one at a time, and we can implant them into the beard in a beard hair transplant. 28:53 Dr. Day: That’s amazing, brilliant. James, I hope that helps… Gives you what you need for advice, and thank you so much for your call and the question. It was a great opportunity to discuss that. And then we have Trudy on Ohio. Hi, Trudy. 29:09 Dr. Day: Hi, go ahead with your question. 29:11 Trudy: I kinda have a two-point question or a two-part question. I was wondering if… I called before and you’ve given me recommendations. I have hair loss, but then I also have keloids in a large area from the bottom of my scalp, all the way kinda towards the middle of my scalp. So, I’ve been to Michigan to where they removed part of the… One of the keloids that was kinda separate, and they did radiation treatment, a really low dose of it. But for the larger area that’s kinda all together, I was just wanting to see if you might have some recommendation of any other kind of treatment or is it more of plastic surgery or cosmetic surgery still. 29:57 Dr. Day: Right. Well, Trudy, I’m so sorry you’re going through that, and I’m glad that the treatment for the one seems to have been helpful, but Dr. Bauman what advice do you have for her? 30:05 Dr. Bauman: Yeah. I don’t really treat too much of folliculitis keloidalis you know that type of a problem is not so common in my practice, but you know I have heard that the excision works. 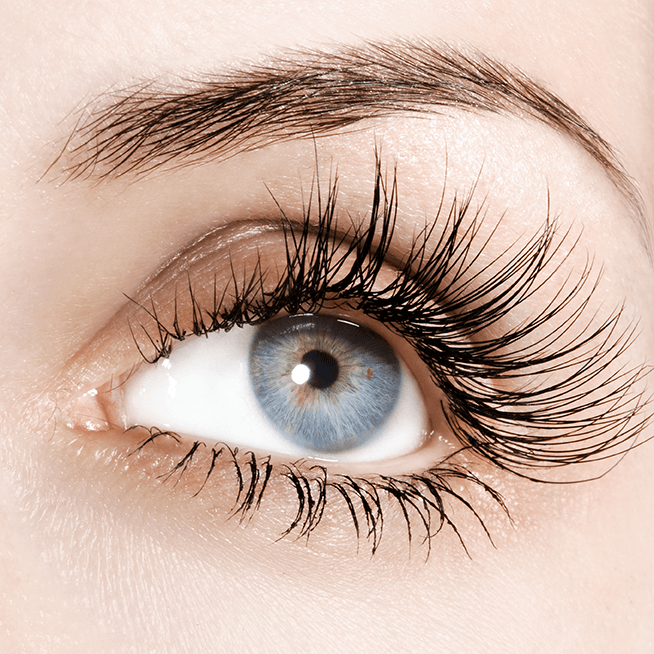 I’ve also heard that laser does help in some of those cases, because its really I think the hair that’s causing those papules in the occipital area of the neck and causing the inflammation and then eventually the scarring. But I wanna be sure that that was the diagnoses, obviously if that is what’s going on then you know that we don’t treat a whole lot of that at our hair loss clinic. If it’s a large keloid, then plastic surgeon would really be the referral that I would make. 30:45 Dr. Bauman: What do you do with those? 30:47 Dr. Day: I do the same as you. I think basically the options are… Is just higher strength cortisone. Just trying to figure out the underlying cause of exactly where it’s coming from, not cutting the hair too-too short and not pulling or doing anything to aggravate the underlying cause of the keloid. Strong cortisone injections even up to 40 milligrams per kilogram or 20 at a time, just small amounts to soften it and then try to slowly get it to go to a smaller size. And then low-level radiation excision, if it’s really sticking out a lot and painful and causing contractual problems. Then on top of that… Sometimes even just pressure alone in some areas or just doing stage excisions. Trudy, it sounds like it’s going to be an ongoing kind of a challenge for you and I hope that if you go back to that same center in Michigan that did the first treatment, that they’ll have some answers to help both with preventing the keloids from growing or new keloids from forming and to help treat the ones that you have. So thanks for checking in with us, thanks for your call. Thank you Dr. Bauman too for joining us. Tell us your social media so our listeners can find you. 32:03 Dr. Bauman: Oh yeah. They can find me at @DrAlanBauman on Twitter, Facebook, and LinkedIn. You can follow me, I’ve got a lot of stuff on YouTube as well. Of course, we keep all the news at https://www.baumanmedical.com. 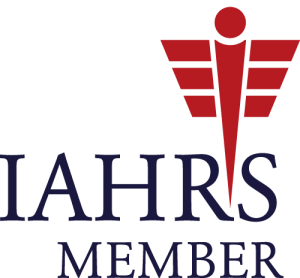 It’s a great place to find out all the latest and greatest information on how we measure and monitor hair loss and treat hair loss with the non invasive therapies, as well as the latest greatest hair transplant methods, like the smart graph and robotic hair transplants as well. 32:36 Dr. Bauman: To move hair follicles around, yeah. 32:37 Dr. Day: But you have some great videos on that so I encourage everyone to go and visit his website and follow him on social media because there are some very, very cool videos on the robotic hair transplants and you can kinda sit there and obsessively watch them after a while, so just give yourself some time to look at all the videos. It’s a lot of fun. You’re great at talking about this and telling the story, I thank you so much for joining me and we’ll have you back too next time just talk about hair transplants and all the new and different techniques. But we went through a lot today so I really appreciate it, you get a lot of information out in a short period of time. Thanks for joining me. 33:10 Dr. Bauman: Well, it’s a pleasure. Thanks so much for having me! 33:13 Dr. Day: Great, thanks. After the break, we come back and we go to open phones again, I’ll tell you more stories, take every call I can get to, and we’ll close up the show. Be right back.